The FAX receiving service, activated through the purchase of a geographical number, gives you the chance to receive FAXes even in mobile mode, both in your mailbox and in your smartphone, in .pdf and without needing a traditional system. It is necessary to own a geographical number to receive FAXes; the number is included within the subscription monthly or yearly of Easy Plan Basic or Easy Plan Plus. The geographical number, without which it is impossible to receive FAXes but just send them, is a normal telephone number with the geographical prefix of the user’s area of residence and it is automatically assigned, except for specific requests for different prefixes, for which it is necessary to contact the Commercial Office. Every User can use his number immediately after having paid and sent a valid identity document. 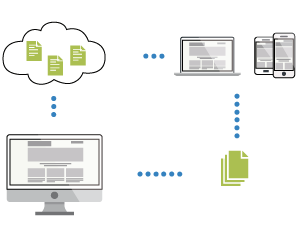 EasyOffice allows you to print just the files you need, it doesn’t need any phone line, it doesn’t put your line on busy and you don’t need to buy any software to make it work. 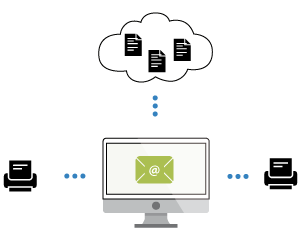 It is accessibile from home, office, from every internet spot and it ensures the reading of FAXes, sent directly to your mailbox, even from your mobile phone (iPhone, Blackberry, Android smartphone..) and archiving on Document Management and on Dropbox. 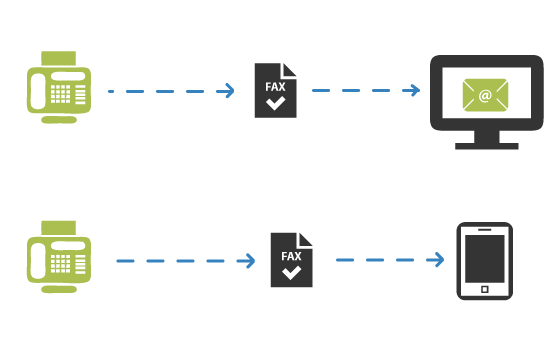 So as to not lose any faxes, EasyOffice provides a digital archive and integration with Dropbox in order to archive all incoming faxes, even in automatic mode. * Prices are inclusive of Italian VAT (22%).